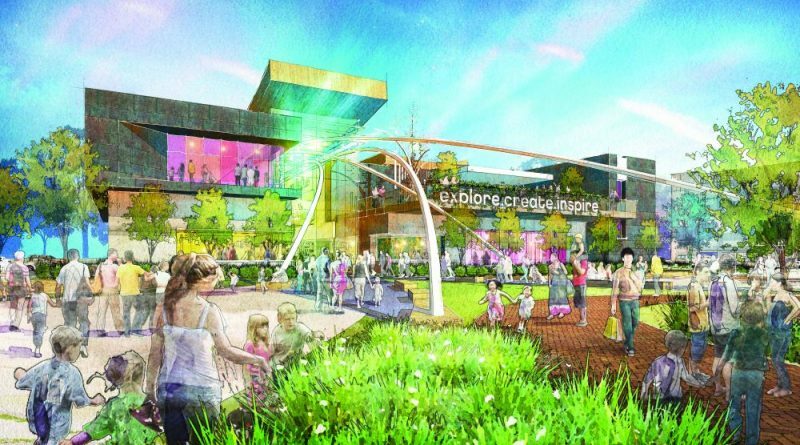 County supervisors have started work to find $15 million to help pay for a new regional science center at Kincora—if the General Assembly will keep a proposal from Governor Ralph Northam to also fund it. The House of Delegates version of the state budget removed $7 million in funding to start the wheels turning on the $75 million project. Ultimately, that includes $45 million from the state to construct the facility, $15 million from the county to outfit the exhibits and $15 million in private sector funding for more exhibits, operating reserves and an endowment. In Loudoun, it would also mean providing funding of $250,000 a year for the first five years, along with service contracts with Loudoun County Public Schools for student programs and teacher professional development. In exchange, the center would be expected to bring to the region millions in economic benefits, not to mention give people in Loudoun—including students—access to science, technology, engineering and math education and further solidify the region’s quality of life and reputation as a science and technology powerhouse. “We have an opportunity that I think most places in the region wish they had, and I do believe that it will benefit Loudoun County, but also benefit the region, and most importantly, benefit our kids,” Randall said. Supervisors unanimously directed County Administrator Tim Hemstreet to find a place for Loudoun’s share of that funding in the county capital budget, which the supervisors will debate as soon as they start work on the next county budget. Loudoun also sent a letter to the chairman of the House and Senate finance committees urging them to fund the center. “Loudoun County believes this is not only a sound economic investment for the Commonwealth, but is an investment in our children now and in the future,” the letter reads. “We are committed to making this investment, and thank you for considering the importance of this project to the region,” the letter states.